Doesn't anyone run in preps anymore? We have entered a new era on the Triple Crown trail, where many trainers now plan only two preps for the Kentucky Derby. It has proven successful over the past decade, so more and more trainers are adopting that philosophy. But before we embrace this method, let's take into consideration that it might be detrimental in the long run. You just have to decide whether it is worth trying to win the Derby with minimal preps at the cost of possibly sacrificing the longevity of your horse's career. By sending a lightly raced and lightly conditioned horse into the grueling Run for the Roses and have him primed on that one day to run a winning race, will your horse have the necessary foundation to bounce out of that effort and go on to sustain a full 3-year-old campaign and a long successful career? Going back to 2008, of the horses who captured the Kentucky Derby off only two preps at 3, Big Brown self-destructed in the Belmont Stakes and never made it past September 13, depriving fans of seeing the much-anticipated showdown with Curlin in the Breeders' Cup Classic. Mine That Bird (2009) never won another race. Super Saver (2010) never won another race, racing only three more times in his career. Animal Kingdom (2011) didn't make it past the Belmont that year. I'll Have Another (2012) never made it past the Preakness. Nyquist (2026) never won another race. The only horse who went on to do great things that same year was American Pharoah, who raced only three more times, winning two, including the Breeders' Cup Classic. But how many Derby winners are American Pharoah? In fact, going back 20 years, you'd be hard pressed to find many Kentucky Derby winners, even with three preps, who went on and did anything the rest of the year. 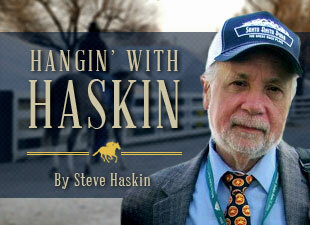 Could it be the lack of a strong 2-year-old foundation of today's horses? We just don't run horses as much as we used to, and that is now carrying over into the Breeders' Cup preps. Bob Baffert's handling of American Pharoah was brilliant, as he was able to get him to win the Classic off the Travers Stakes without a prep. When Baffert pulled off that same feat the following year with Arrogate, many trainers followed suit, just as they did with having only two Derby preps. That is the nature of racing today. Do the now thing if it works for someone else. It seems as if trainers are trying to get as conservative as they can. As a result, take a look at the Breeders' Cup potential fields in Daily Racing Form and see how many of this year's top stars will not have a race after Labor Day and will go into their respective Breeders' Cup races off a layoff of two months or longer. The thinking is, "If it can work for Baffert, why can't it work for me?" Even Baffert has taken that philosophy to another level this year, training up to the Breeders' Cup with a number of his stars, including Arrogate, Collected, Drefong, Vale Dori, and Mor Spirit. Following suit will be an array of major stars, such as Gun Runner, Stellar Wind, Forever Unbridled, Lady Eli, Accelerate, Mind Your Biscuits, American Gal, Practical Joke, Imperial Spirit, Lady Aurelia, Paulassilverlining, and By the Moon. They, along with Baffert's horses, make up the nucleus of the sport's headliners, and racing fans will have to wait until the Breeders' Cup to see these horses, who will be attempting something that has in the past been considered unconventional. Stellar Wind, in fact, will be going in the Distaff not having run in over three months. That will make many of the prestigious preps over the next two weeks, mainly at Belmont Park, Santa Anita, and Keeneland, wide open affairs with a number of talented horses participating, but only a handful of the leading Breeders' Cup contenders participating. Of the top 10 horses ranked on the NTRA poll, eight of them are waiting for the Breeders' Cup and will not be in action in the big preps over the next two weekends. Even two of Baffert's other big stars, West Coast and Abel Tasman, will go into the Breeders' Cup off a six-week layoff, having run at Parx last Saturday, which by today's standards is pretty much the norm. By comparison, looking back at the early Breeders' Cups, Wild Again won the Classic having run 12 days earlier. Proud Truth won the Classic having run seven days earlier. Ferdinand won the Classic having run 14 days earlier. And Alysheba won the Classic having run 21 days earlier. Good luck finding a trainer willing to do that now. Even the 21 days has become rare. So what that all means is that we will have to watch all the major preps, such as the Jockey Club Gold Cup, Beldame, Vosburgh, Awesome Again, Zenyatta, Spinster, Flower Bowl, Shadwell Turf Mile (all prestigious races on their own), and all the others with a touch of ambivalence, knowing the big guns are back in their stalls getting fresher than a newly baked babka. Horses have won the Classic off longer than normal layoffs, but it was a rarity. Trainers like Bobby Frankel and Rick Dutrow, whose strength was getting horses to win off layoffs, pulled it off in back-to-back years, winning the Classic with Ghostzapper in 2004 and Saint Liam in 2005, respectively, both of whom hadn't run in seven weeks, which hardly qualifies as a layoff anymore. Kiaran McLaughlin took it to a new level in 2006, but it was not by choice. When Invasor came down with a virus right before the Jockey Club Gold Cup, McLaughlin was forced to run the colt in the Classic off the Whitney, a three-month layoff. But again, we're talking about a Hall of Fame horse and a future Hall of Fame trainer. Baffert rewrote the book in 2015 and '16 by wining the Classic off 10-week layoffs with 3-year-olds, something no one had even come close to accomplishing. So, if you feel you're as good as Baffert at getting a young horse to win off a layoff and you have a horse the caliber of American Pharoah and Arrogate, feel free to give it a shot. To complicate matters this year, the vast majority of Breeders' Cup participants will be running at Del Mar for the first time, and there is a serious question of whether Arrogate is the same horse on that track. His last two starts do not boost one's confidence. Can he regain that aura of invincibility he had prior to his summer vacation at the beach? We will have to wait 11 weeks to find out. With Gun Runner going in the Woodward Stakes and bypassing the mile and a quarter Jockey Club Gold Cup we will have to wait 10 weeks to see if the colt is as effective at 10 furlongs as he is at nine furlongs, considering he is 0-for-3 at the Breeders' Cup Classic distance. After running in two Breeders' Cup Distaffs off five weeks and eight weeks, how will Stellar Wind do going in this year off 14 weeks? Questions, questions, questions. But that is the new nature of the game. NYRA stakes coordinator Andrew Byrnes said, "It's frustrating. It's not the way it was."